Earth’s atmosphere was only permitting a mediocre view at best. To the south bright Hellas was visible up to the limb. Mare Tyrrhenum, Mare Cimmerium and southern Syrtis Major all appeared dark, contrasting nicely with lighter Libya and Aeria. The northern reaches of Syrtis Major appeared much lighter than the southern parts. Alcyonius Nodus was intermittently visible. A portion of Elysium could be seen but was mostly cloud covered. Utopia and the North Polar cap were plainly visible. Limb haze was present on both the preceding and following limbs. 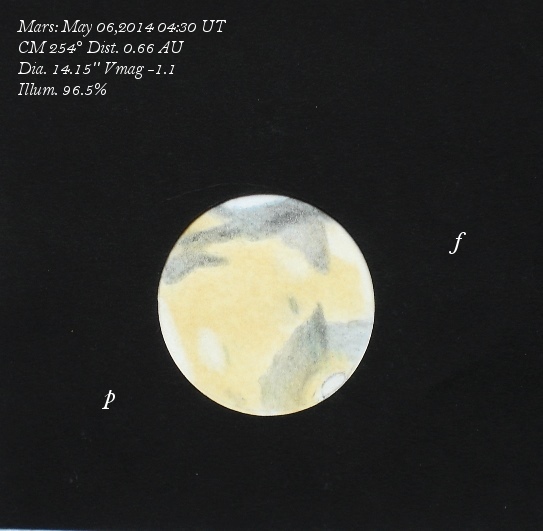 It is always a pleasure to view and attempt to make a sketch of Mars. 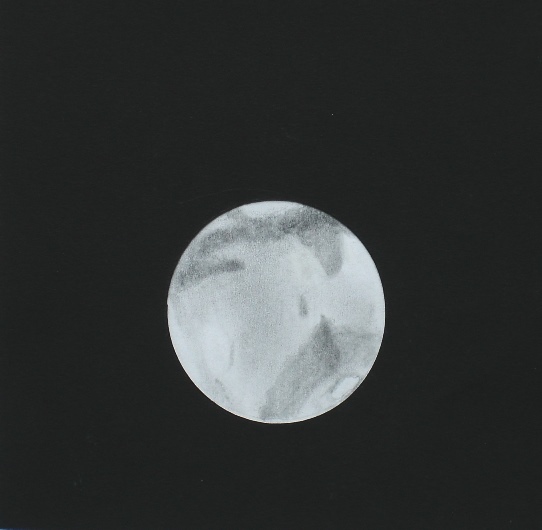 This is an eyepiece sketch made with a HB graphite pencil, blending stumps, white Pearl eraser on white sketching paper. Colorized version made indoors from the eyepiece sketch and notes on the colors needed from colored pencils. I like your sketch, a very soft mars!